NaNoWriMo is almost upon us. For most people November means Thanksgiving, College football, Black Friday, and stuffing yourself with so much turkey that we can’t look at it for at least the next six months. But for a select group of crazies out there, November is the month where they throw caution (and sometimes sanity) to the wind and attempt to write 50k words in just 30 days. Which also means starting a brand new story on day 1 and either finishing it on day 30, or in my case, getting a good chunk of the narrative down. For millions of writers around the world, November is the event they have been waiting for, hoping for or dreading, gearing up for all year long. It’s NaNoWriMo or National Novel Writing Month. Last year, I did a series of posts about NaNoWrimo that you can find under the On Writing – NaNoWriMo cathegory, so I will try not to repeat myself too much. If you are still not sure if you want to try doing NaNo or not, I would recommend reading this post – 5 reasons everyone should do NaNoWriMo at least once. So today, I want to talk a little bit about my reasons for doing NaNoWriMo. This isn’t my first rodeo, so to say. I’ve done (and won) NaNo in 2013 and 2014, and I went on writing afterwards until I finished the novels I’ve been working on. So I am not approaching this year’s NaNo with a need to prove that I can do it. I’ve already shown that I can. But I am just as giddy and excited about November 1st as I was two years ago. And do you know why? Because NaNoWriMo is a wonderful and unique opportunity to throw your caution to the wind, shut your inner critic in the basement, and just run with the story. There is nothing better to shut down your “Spock Brain” as Kristen Lamb puts it in her excellent article, than having to put out 50k words in only 30 days. That’s roughly 1.7k words a day, which can be a challenge, especially if writing is not your full-time career and you have to carve time for it out of your already busy schedule. My average daily output during the year is about 600 words, sometimes a bit more, but I try to never do less. Well during November, I have to do almost triple to keep with the word count. Let me tell you that when you are pushing yourself to write as fast as you can for as long as you can in the limited time you have (for me it’s early morning before work, during my lunch break, and before bed when the rest of my household is asleep), you don’t have time to second guess yourself or worry about your sentence structure or verb usage or even if that paragraph you just finished makes sense. You have to press on and keep the story moving, no matter what. Even if it seems silly or stupid; even if you feel like your writing is horrible; even if you are certain that you just zipped by a plot hole so big a small truck could fall into it. During NaNoWrimo, I don’t have time to worry about that, and I never go back to re-read / edit what I have written. If I get an idea on how to change something, or if I know there is glaring mistake somewhere, I write it down in my notebook and keep on going. I can address all these issues during revisions, but I need a fully finished draft first. And I don’t know about you guys, but for me there is something liberating about just rushing ahead and letting the story spill out of you without any restrains. Yes, it might be half-baked and will definitely not win the Nobel prize of literature, but it won’t do that just sitting inside your head either. So I take a deep breath on October 31st and set off into a mad dash that doesn’t slow down until November 30th. By that time, I usually have over 50k words of my new novel written and the momentum carries me well into December and January when I finally finish the draft, because most of my novels run in the 100k words category. Of course, I usually slow down after NaNo, going back to about 1k words a day, but by that time I’m past the halfway point of my story and I am excited about reaching the end. So to conclude this rambling post, for me NaNoWriMo is the essential yearly boost of motivation , like a writing vitamin shot, and I wouldn’t miss it for the world! Let your ideas rest – don’t rush in. This blog post is sort of a follow up to last week’s post about my Worldbuilding process, as well as friendly advice to new writers. Since NaNoWriMo is right around the corner, I thought it might be a good idea to talk about why you shouldn’t rush your inspiration. I think it happens to all of us – we get this shiny new idea, and we get so excited about it that we want to drop everything we’re doing (including current writing projects) to start working on this new gem. BAD IDEA. Let me explain why. That the surest way to never finish anything. Writing is hard. 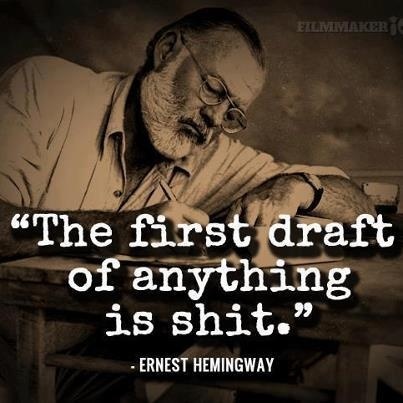 Finishing a first draft is a long process. It can take months of slow and painful progress to get to the end of a story, and some days it feels like you are making no progress at all. Some days it feels like you have to fight for every word you put on the page. So it’s normal to get a bit tired of the story you are telling. So when this brand new idea aka plot bunny jumps in to your head, of course you want to drop that burden you’ve been dragging for so long and run with this shiny gem. It’s new. It’s exciting. Surely, the process of writing it would be less tedious? Well, even though it might seems so in the beginning, but once you run long enough with this new idea, it will become hard to write as well. After all, that other idea you abandoned for this one has been bright new and shiny at one point as well. So you’ll end up with two unfinished stories that are equally difficult to write. And then another bright idea pops into your head, so you jump ship again… Well, you get my drift. An idea does not a story make. That new plot bunny that just jumped into your head might look all fluffy and cute, but I suggest that you take a closer look. You might notice that it’s malnourished and rather worse for wear. That’s because, most of the time, it’s just a scene, or a character, or a vague idea. Yes, it makes us stop and think, “Oh, that would be so cool!” but by itself, it’s not enough to make a whole book out of. You need to put it in a nice little cage and feed it lots of carrots and other tasty foods so that it can grow and evolve. Or, in other words, you need to work on that idea, ask questions, discover your world and your characters and, most importantly, the actual story you want to tell. All this takes time. Sometimes a lot of time and research before you are ready to sit down and write the first sentence of your very first draft. Write it down and put it on the backburner. Oftentimes you can’t see the story clearly enough at first, no matter how much you want to start writing. Maybe you have a hard time seeing the characters, or maybe you have no idea where that shiny scene that came to your mind fits in the story, if it fits at all. And no matter how much you poke at it, you don’t seem to get the answers you need. That’s when stepping away from the idea and putting it on the back burner is a good idea. Let it simmer on low heat. Let it percolate into your brain while you finish that other story, the one you have already invested so much time into. I am willing to bet that when you are finally done with it and go back to your new idea, you will be surprised at how much more information you have about the world, the characters and the story. The attack of evil plot bunnies. That’s when you can sit down and start writing it. Yes, it might be months between the time you get the idea and the moment you actually start working on it, but you would have a finished story under your belt and solid direction where your new story is going as well. Frist Drafts woes and wonders – rebelling characters. NaNoWriMo is over and done, but at the end of it I still had an unfinished story on my hands. So I had decided to keep up the good habits I picked up during November and write every day. I set my goal to 1200 words per day, which is about 800 words less than the mad rush of NaNo. I managed to stick to it so far, so my manuscript is now at 68k words and I would reach the end of Part 2 after one more chapter. This feels really good, to see this story finally taking shape on paper. I have never stuck with a story for so long and so consistently before. I have never written so many words before on one story either. The feeling is… exhilarating. If feels like an accomplishment. Even if my story is only two thirds done, even if I still have at least a long month of bleeding words on paper in front of me, I feel like having a small celebration. Like I passed a milestone or something. But this is not what I wanted to discuss today. No, I wanted to talk about characters and all the marvelous things they do to advance your plot and sometimes totally mess up your carefully laid plans and nicely detailed outlines. When I wrote Part 1 of my novel during NaNo, my main character Aiden was a good sport and went along with almost everything I had planned for him. He rebelled only on the small details. So we really had a peaceful and productive collaboration during the month of November. 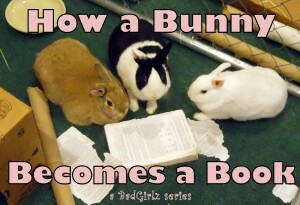 Then I wrapped up Part 1 and moved to Part 2 which follows another character. I knew that I was in deep trouble from the get go. This character has a mindset very different from my own, so getting into his head and writing from his perspective was like reformatting my brain with a screwdriver – a slow and painful process. And as if to add to the suffering, he decided to fight me every step of the way. All my carefully-laid plans for Part 2? Out of the window. All the shiny scenes of romance and conflict I thought I would write? Scrapped and disposed of. He was having none of it. It was going to be his way or no way at all. So for fourteen chapters now I have been in a state of panicked wonder – how will he manage to change my plot this time? But you know what? I am just one chapter away from finishing his arc of the story and looking back at it, I must admit that what he did is much better, more in character than anything I had in mind. 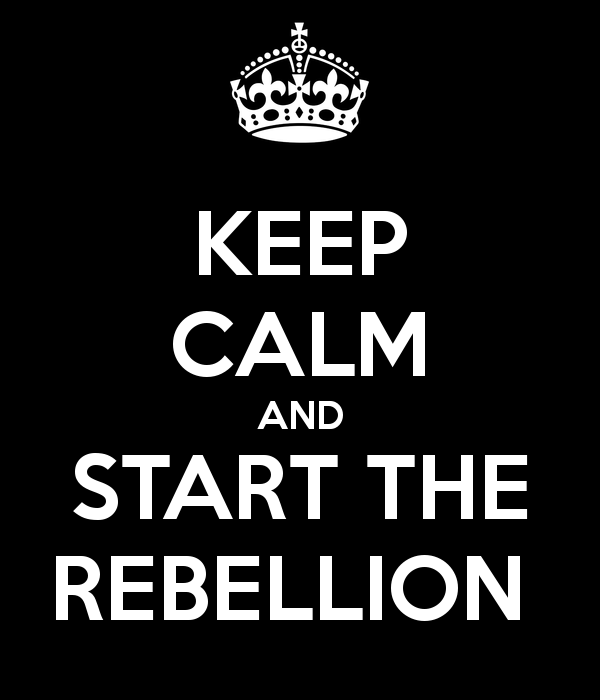 So my question to you all is how often do your characters rebel against your plans? Do you go along with them when they do? Does it turn out better when you do give them free reign or worse? 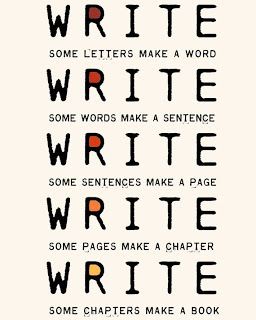 NaNoWriMo – 15 days to go. Well, we are half-way through November already. Time just seems to fly by, doesn’t it? This is my first NaNoWriMo and to tell the truth I wasn’t sure if I could make it. But as of today I am at 30k words and about one chapter way from finishing Part 1 in my novel. And I still have 15 days to write another 20k words. That looks a lot less daunting than the big 50k from November 1. So I start getting more hopeful about the fact that I can make it to then end and win. I would like to use this half-way point to go over some of the observations I made so far about my writing process. Hopefully, someone else will find them useful too. 1. Discipline helps. I haven’t missed single day of writing so far. I made sure that I would find time to sit down and work on my novel every day, rain, snow or storm. It doesn’t matter how much time I have, even a five minute coffee break spent scribbling in a notepad can produce 100-200 words. A lunch date with a pen and paper adds another 400-500 words. And in the end, it all adds up. 2. Setting goals and working towards reaching them is essential. When I decided to do NaNo, I set myself a daily goal of 1700 words. And I made a vow not to go to bed until I reach that goal. So it doesn’t matter if my pen is flying so fast that makes the paper smoke or if my muse packed up and went on vacation, I will sit and put one word after another until I get that goal done. And most of the days I end up with 200-300 words over that goal. 3. Celebrating small and big achievements is a sure way of boost motivation. I had a piece of chocolate cake and a fresh cup of tea when I reached my first 10k. I pored myself a glass of wine at the 20k marker. I sneak attacked my husband in the bedroom after I flew by the 25k :). 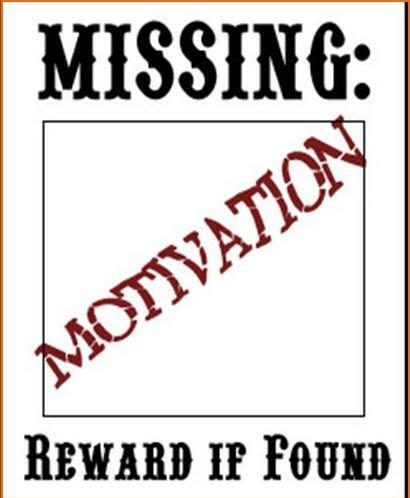 Those little celebrations really make you want to go on writing, and thinking about your next reward helps when the fatigue sets in and you start getting discouraged with your writing. 4. Word wars and prompts help. No, seriously, they really do! There are days when words are just not coming, no matter how much you stare at the blank screen. I found that picking up a prompt or joining a word war either on the site or on twitter @NaNoWordsprints helps me get the ideas on the page. I tend to procrastinate less when I have a deadline. 5. Do not get discouraged. 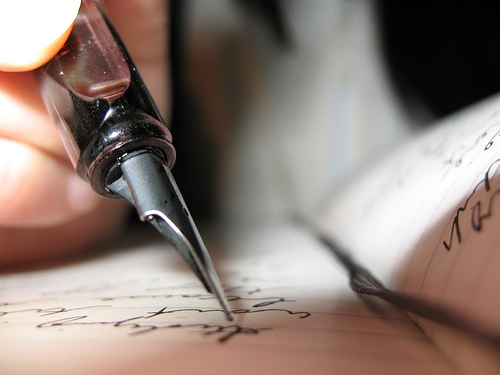 Whether you are 5k ahead or 10k behind, keep writing. You still have 15 days to go, don’t abandon you novel now. Every word you add to it is more than you had before. Word by word, the novel will get from “Once upon a time” to “The end”. So how is everyone else doing at his half-way point? What are you guys happy about or struggling with? 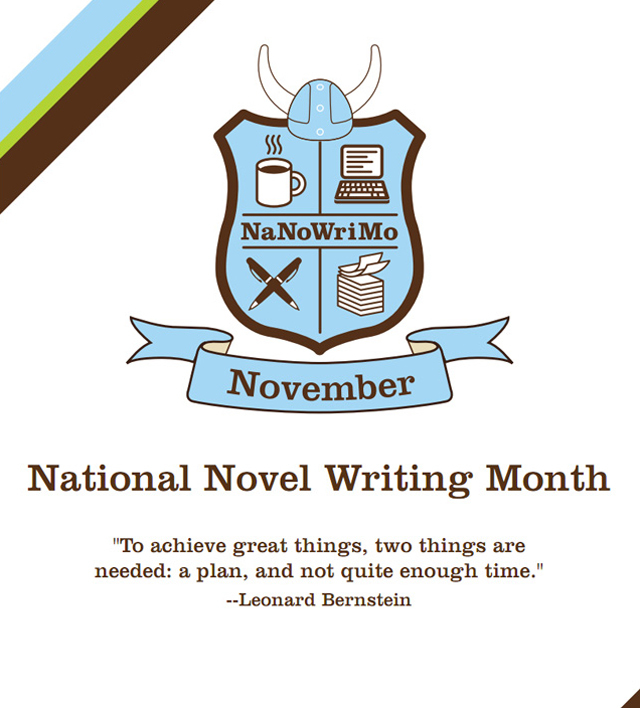 Two days to NaNoWriMo – panic attack. It is officially two days till NaNoWriMo starts. I have been ready for at least a week and oh so excited to dive into my novel. But now that November 1st is almost around the corner, the doubt is setting in. Will I be able to pull it off? After all, 50k words in one month is a lot of ink to put on paper – it’s 1667 words per day, every day in November. 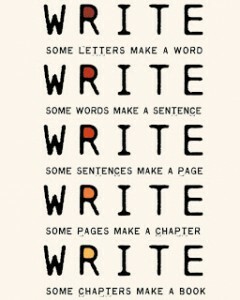 Or what if I get stuck in my story and I hate what I write, or if the characters stop speaking to me half way through? 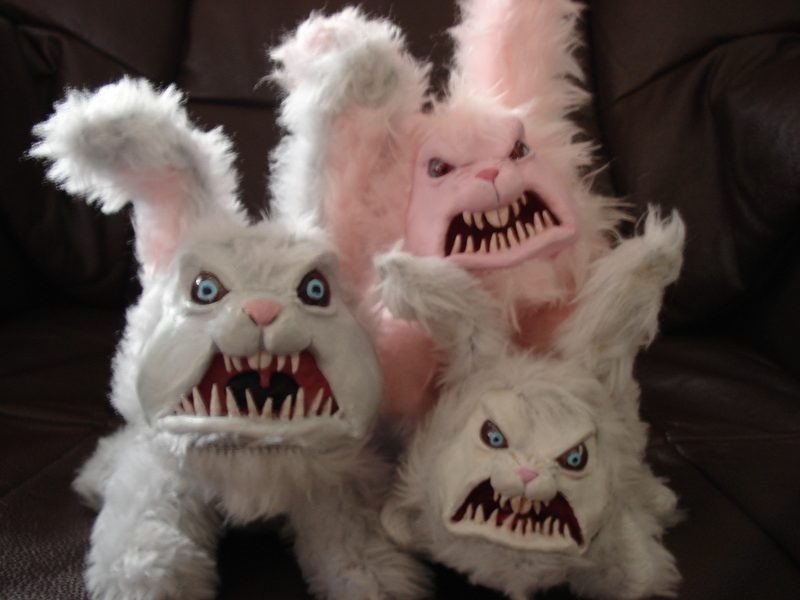 This is stuff nightmares are made of! It’s funny, but this situation brings me back to my college days (darn, am I that old already?) and my pre-exam jitters. This is absolutely ridiculous because this time my grade doesn’t depend on the result, I don’t owe anyone anything, and the world will not stop turning if I don’t reach my goal. But the fact still remains – I am scared. I think it’s because this is important to me – I need to prove to myself that I can write consistently for a prolonged period of time. I also want to prove to myself that I can actually finish a manuscript, go through the whole first draft from “Once upon a time” to “The End”. So yes, there is a lot of pressure on my shoulders and this wait is absolutely killing me!